LOS ANGELES (PRWEB) – Somabar, the company behind the world’s first commercially affordable robotic bartender, knows what it takes to make a cocktail. Hint, it’s not just alcohol. For a restaurant, that question is followed by a myriad of answers. Labor for starters. Most restaurants do not have bartenders or mixologists as installing a cocktail program can be a massive undertaking in terms of both time and resources. Liquor licensing is another. Full-liquor licenses in California can cost upwards of $500,000. Finally, there is waste and spoilage that account for 25% of inventory loss on every drink sold. The cocktail, formerly the highest profit generator for a restaurant, is facing stronger and stronger headwinds. Yet a Los Angeles-based startup is hoping to change all that with its public launch at select Gelson’s premium Wine Bars. 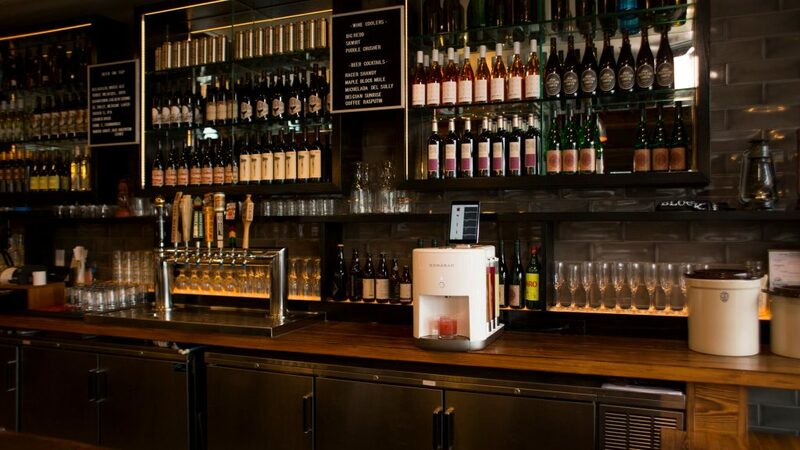 Somabar® is the world’s first robot bartender created for beer and wine bars and restaurants. After three years of development, Somabar announced the commercial debut of its robot bartender at the 2018 Western Foodservice & Hospitality Expo, where it was awarded the show’s highest honor; Best Product of the Year. 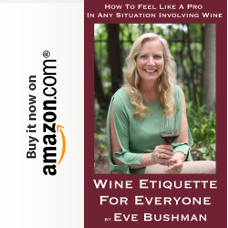 Why wine bars and restaurants? Restaurant and wine bar owners are familiar with endless regulation, yet liquor licensing and rules for human bartenders are among the most costly and complicated. Regulations vary by state, and costs can be dizzying, especially in areas that strictly limit the number of active licenses. In parts of New Jersey, the cost of a restaurant full liquor license has reached $2 million, yet even this mind-numbing number is becoming less rare as license-costs in cities such as Los Angeles and San Francisco continue to escalate. Somabar’s mission statement is to help restaurants with wine and beer licensees (called a “type 41” liquor license in California) navigate this bureaucratic minefield with its robot bartender. Somabar specializes in beer and wine licensed restaurants that typically do not have a bartender nor a full liquor license. 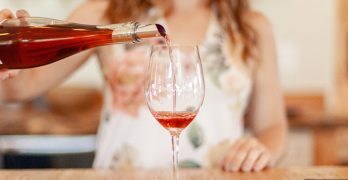 The beauty of the wine and beer license lies in the fact that they are unrestricted in number by the California Department of Alcoholic Beverage Control, can be issued in a matter of weeks and cost as little as $500. And Somabar helps wine bars and restaurants make the leap from serving just beer and wine to serving highly profitable cocktails at minimal effort and cost. Operating under a restaurant’s beer and wine license, Somabar utilizes ≤ 24% ABV low-proof spirits such as agave wine and soju to mirror traditional cocktails like the margarita and cosmopolitan, and uses over 20 other low-proof varietals to craft practically every other cocktail imaginable. Somabar is also a master mixologist, with a growing library of thousands of low-proof cocktails, each created in less than 10 seconds, with no additional staff training required. Existing waitstaff (or any employee) can pour consistent and professional cocktails at the touch of a button. Somabar empowers restaurants to reduce their pour costs to under $1 per cocktail, while such cocktails’ average sale price ranges from $5 to $18. 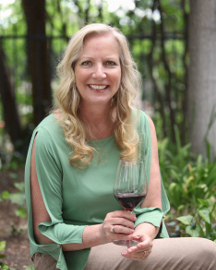 Somabar launched at select Gelson’s Wine Bars in December and is now being made available to all Los Angeles area restaurants with “type 41” wine and beer licensing. You can see Somabar for yourself at the Gelson’s Premium Wine Bar at Westfield Century City Mall as well as Gelson’s Manhattan Beach and Silver Lake locations. At Somabar, our mission is to empower restaurants, bars, hotels, and public and private venues to serve thousands of different professional cocktails, each in seconds, at a dramatically lower cost and without the need for significant training or set-up. Somabar was founded in 2015 by Dylan Purcell-Lowe and Christopher Hameetman, who have since built a team of industry leaders to bring such vision to fruition. Somabar is located in Los Angeles, California. Vintage Eve Circa 8/2015: LuckyRice Feast 2015 LA = Getting Very Lucky! “We will be returning to the City of Angels with a our national Feast event and will continue to feature the best up-and-coming chefs in the Los Angeles area. Popular Pop-Ups will be joined by brick-and-mortar mainstays under one roof, with plenty of Asian-influenced cocktails from the city’s top mixologists to help wash down the grub.” Lucky Rice. I had attended the LuckyRice LA feast once before, and in one word I would have to say: IMPRESSIVE. 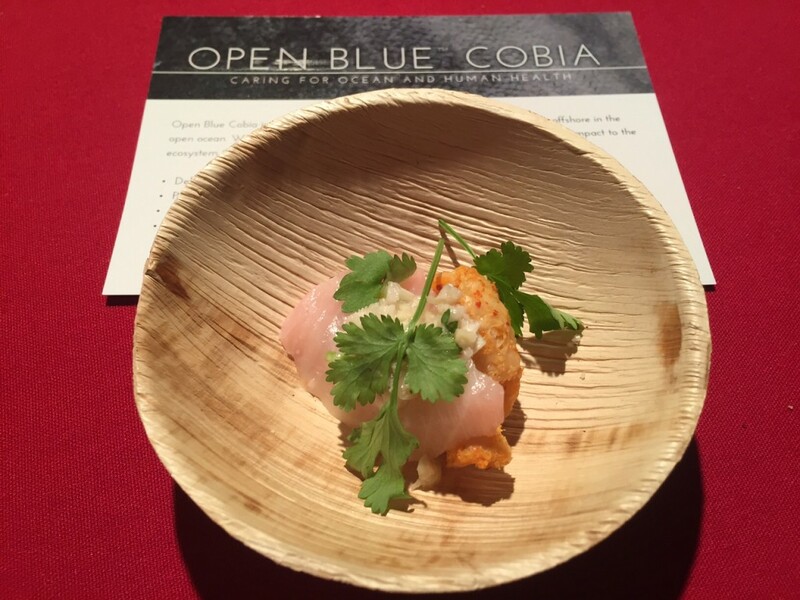 The fact that we were able to sample from so many excellent LA-based Asian restaurants at one time, and have the food paired with full-sized innovative cocktails, most made with Bombay East Sapphire Gin, was almost overwhelming. Almost. This year we found the pairings equally ambitious. There were three separate areas to taste inside and outside of the Create nightclub in Hollywood. I couldn’t find any repeat dishes or cocktails so there was a lot of ground to cover. I took to the task in my usual diligence. Of special note to me was the discovery of Bittercube Tonic Extracts. To see a bartender use a small dropper to add flavors like ginger, peppermint, sassafras, jasmine, lavender, orange, fennel, cinnamon…really changed the flavor profile of the juniper and other botanicals normally found in gin alone. Loved these inspired drinks with the moist and artful dumplings from Bling Bling Dumpling, the fresh scallop sashimi from Katsuya and the flavorful Szechuan Pork and Crab Wontons from Phorage. I have bolded some of my favorites in the list below and instead of doing a story in photos, I uploaded them into a short YouTube. View it here. NEW YORK (PRWEB) – The Chinese baijiu, Hengshui Laobaigan received top honors at the recent Global Spirit Awards Competition held in Las Vegas, Nevada. Judges for the competition sampled the world’s best liquors from several categories including vodka, tequila, rum, bourbon, scotch whisky, liqueur and Chinese liquor. The Laobaigan 1915 was awarded the prestigious Best in Category award. In addition, The Laobaigan 5 Star and Laobaigan 1915 were each named Double Gold Winners by the panel of judges. The jury for the 2018 Global Spirit Awards Competition was comprised of 18 experienced spirits masters with a strong background in spirits production and bartending. They included Steve Beal, founder of the San Francisco world spirits contest and one of America’s top distilling experts. The judging process for the specialty spirit categories began with a double-blind tasting preliminary round, with the best spirits advancing to the Sweepstakes Rounds, where the Double Gold and The Best of Show Categories were awarded. Americans can be hesitant to try Chinese baijiu (the term, “baijiu” means “clear liquor”) due to its exotic taste. As far back as 1915, Hengshui Laobaigan won the Panama World Exposition top prize and marked the product’s entrance into the US market. Today’s multiple prizes from the Global Spirits Awards continues the tradition of Hengshui Laobaigan’s baijiu earning recognition and respect from western judges. There are many types of Chinese liquor, which can be challenging for the uninitiated. In China, baijiu is often used to accompany meals and is paired to match the taste of Chinese food. Most Chinese baijiu have a strong and distinct flavor, which can cause many American drinkers to choose more familiar liquors. But the fact that Hengshui Laobaigan 1915 was recognized by the Global Spirit Awards suggests that not all Chinese spirits are the same. The liquor’s distinct taste is known as “Lao Bai Gan Xiang Xing,” which comes from its unique underground Urn brewing method. Unlike the western custom of using oak barrels or sherry barrels for storage, Hengshui Laobaigan produces their liquors in ceramic tanks buried in the ground. A study from the China Academy of Food and Fermentation showed that Hengshui Laobaigan’s dry ground cylinder fermentation process can effectively isolate impurities and harmful microbial pollution, the impurity content is less than one-tenth of China’s national standard, creating a more mellow and clean flavor. The process, which has been used for thousands of years, produces a great tasting liquor without a needlessly high alcohol content. Chinese scientists have also conducted microbiological research on the Laobaigan underground cylinder brewing technology. The Microorganism and Applied Enzyme Laboratory of Jiangnan University collaborated with Hengshui Laobaigan to produce a study entitled, “Environmental Microbiota Drives Microbial Processes and Metabolic Profiles for Chinese Liquor” published by Dr. Xueshan Wang. The study was selected as the cover article by Applied and Environmental Microbiology, an authoritative publication founded by the American Society for Microbiology. In 1915, The 1915 Panama Pacific International Exposition Was Held In San Francisco. Hengshui Laobaigan’s Predecessor, Zhili Kaoliang Liquor, was submitted to the panel of judges. With its mellow and sweet taste and transparent color, Zhili Kaoliang won the “First Class Medallion” of the Panama Pacific International Exposition. To commemorate this milestone in the company’s history, the manufacturer introduced “Laobaigan 1915” to the marketplace. The product’s recent award at the Global Spirit Awards proves that Chinese liquor can be adapted to American tastes. Today, with western liquors such as whiskey and vodka consumed within the Chinese market, the makers of Laobaigan seek to foster a reciprocal appreciation for Chinese baijiu. With its award-wining taste and thousand-year history, Laobaigan deserves a place in every American liquor cabinet. Seattle, WA – Cocktail lovers know the power of a properly mixed drink as well as any bartender. Always checking travel guides and online blogs, these aficionados are constantly searching for the best cocktail recipes and mixes around the world. For lovers of the popular tomato juice based Bloody Mary, The Drunken Tomato is the go to resource for the top international recipes, reviews, and merchandise. The Drunken Tomato has recently announced their list of award winners for their annual Bloody Mary competition. This year’s awards are the first given by the company. The Drunken Tomato Awards is a new annual international Bloody Mary competition that rewards the hard work and passion of industry manufacturers who produce superior Bloody Mary products. A blind taste testing by a panel of seven experienced industry judges, The Drunken Tomato Awards provides unbiased feedback on the latest bloody mary mixes. The objective behind the awards is to provide ratings and reviews that assist brands in marketing and product development, while also developing a method of providing annual quantitative research and analysis that can help develop the industry as a whole. A medal from The Drunken Tomato denotes a high standard of achievement in the bloody mary community. The Drunken Tomato is known for its extensive industry experience, giving their medals real credit for the award winners. A Drunken Tomato award is an easy method for consumers and industry professionals to identify high quality products that fit their own tasting preferences. Forty-three medals were awarded across six categories: New Product, Liquid Seasoning, Hot & Spicy, Mild, Dry Seasoning, and Caesar. 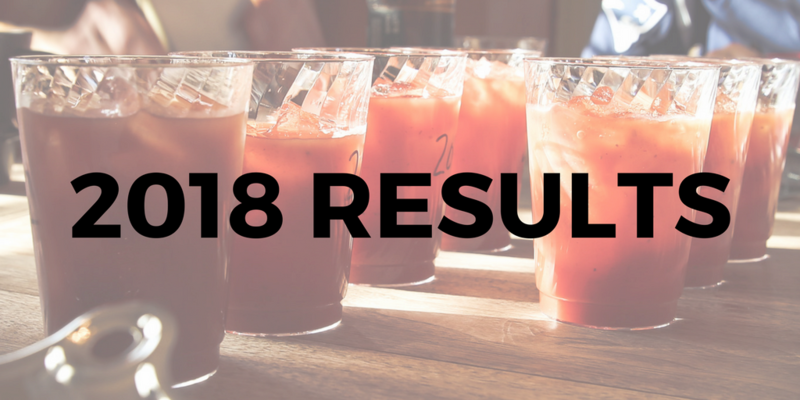 The Drunken Tomato Awards will continue to be a staple of the industry, providing unbiased reviews of commercially made bloody mary mixes in order to help consumers and those in the industry find a reliable resource to discover products based on their unique tastes. The Drunken Tomato is located at 21108 Poplar Way in Lynnwood, Washington (98036). The company can be reached by phone at (917)710-0291. To learn more about The Drunken Tomato Awards, or to find the top bloody mary mixes of 2018, visit https://www.drunkentomato.com. L.A.’s Best “Happy Hours” Guaranteed to Make You Smile As You Sip, Savor & Save This Spring! Get out of your comfort zone Santa Claritans and check out these great Happy Hours from Beverly Hills to Venice! 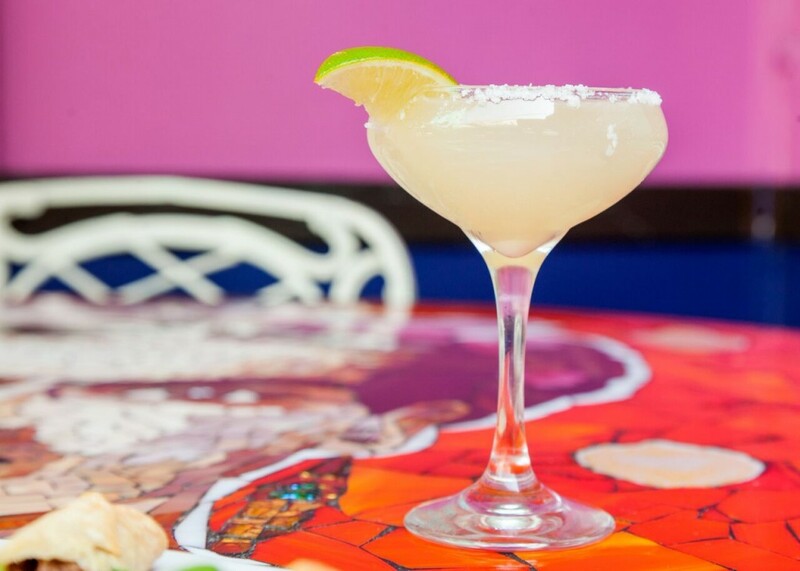 For over 50 years, Casita Del Campo has been serving up exceptional Mexican cuisine in Silver Lake, in a party atmosphere with two outdoor patios and a beautiful dining room. With a lively nightly Happy Hour, guests may enjoy a wide selection of margaritas including the Casita Classic prepared with tequila, fresh squeezed lime, triple sec, Fruit Margaritas comprised of strawberry, peach, banana, watermelon, mango, ginger, pomegranate, and guava, and a Smoky Margarita made with Cazadores Reposado Tequila, mescal, triple sec, and fresh squeezed lime. Bartenders also serve up Pina Coladas, Tequila Sunrises, Palomas, and Mojitos. Appetizers include Quesadillas Con Rajas two corn tortillas prepared with a combination of cheeses and mild green chile strips, the Casita’s Special includes six crispy mini tortillas topped with chicken, beef, beans, guacamole and sour cream, and the Sweet Corn Tamales which include two delicately sweet tamales filled with raisins and jack cheese. Every day is a fiesta at Casita Del Campo during their nightly Happy Hour! CHAYA Downtown offers a wide selection of Happy Hour cocktails, wines, beers, and bites that will take the edge off after a long day at the office and satisfy tourists in need of a rest after exploring Downtown Los Angeles. Choose from a selection of specialty cocktails for $8.00 including the Russian Blues, prepared with lemon-infused Crystal Palace vodka, house-made spritzer and fresh blueberries, the Bourbon Mash mixed with Jim Beam bourbon, passionfruit purée, orange juice, and mint, or the Bahama Mama comprised of Cruzan Coconut Rum, pineapple, orange juice, fresh sweet & sour, and garnished with an orange slice. If wine is more to your liking, guests can enjoy a selection of including Castle Rock Sauvignon Blanc, Castle Rock Chardonnay, Mouton Cadet Rosé, and the Castle Rock Pinot Noir. Guests of CHAYA can also opt for a nice cold beer like Sapporo Premium Draft Pale Lager, Kirin Light Pale Lager or the Estrella Damm Euro Pale Lager. Finally, a tasty beverage should not be left without delicious small bites, so guests can enjoy a Spicy Shrimp Crunchy Roll, Crispy Brussels Sprouts with Pomegranate Seeds, Shrimp Hushpuppies with Karachi mustard dip, and Salmon Belly Skewers with yuzu pepper miso as well. Chaya Venice offers a respite to long days spent plugging away in Silicon Beach, or for a drink and some nosh after a fun day at the beach. Choose from a selection of specialty priced snacks, cocktails, sake, beer, and wine in the CHAYA Venice bar. Enjoy a variety of small plates including a Yuzu Spicy Tuna Roll, the classic California Roll, and Ramen made with creamy chicken, pork belly, and Casamigos Reposado. Choose from a variety of Happy Hour Cocktails that are sure to tantalize the palate including the Pear Pressure mixed with Shochu, pear purée, lemon and ginger, and the Blood Orange Sour prepared with gin, blood orange, and soda. Of course, if cocktails do not strike your fancy, sake flights are always an excellent choice at CHAYA Venice, along with an ice-cold beer or specially selected glass of wine. 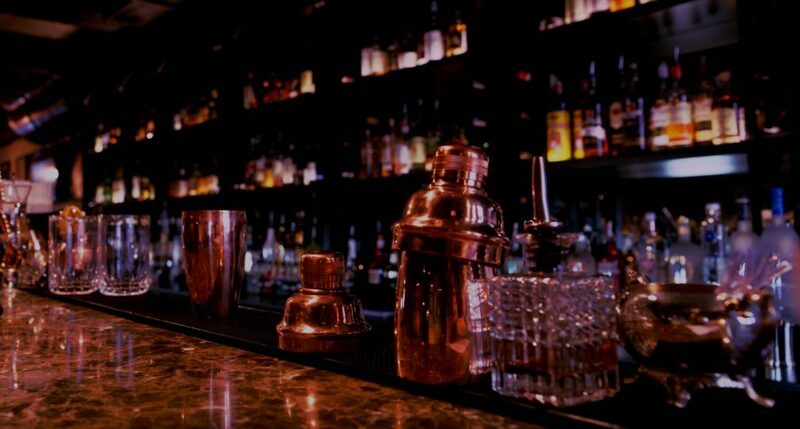 After a long day at the office, or an early evening out with friends, look no further than visiting one of Downtown L.A.’s most beloved restaurants, Church & State, for a Happy Hour filled with small bites and drink specials to liven the evening. Enjoy a daily selection of $1 Oysters paired with lemon and mignonette, along with the Le Cachat, a lavender herbed goat cheese on crostini, the Foie de Volaille(chicken liver mousse on crostini), or the Deviled Eggs with paprika, lardon, and chives. For cocktails, enjoy a crisp Craft Cocktail prepared with gin, lemon, Pimm’s, Aperol, and mint. With all the delectable choices at hand, guests can easily let the hectic day slowly slip away, as they sip their drink of choice. Come unwind for Happy Hour in the Springside Lounge at Spring in Downtown Los Angeles after a long work day and enjoy specialty libations and appetizers every Tuesday through Friday right at the Springside Bar from 5:00 pm to 7:00 pm. Nibble on an array of snacks such as the Marinated Olives, Herbed Goat Cheese on Crostini, Beef Tartare, and the true pearl of the menu, the $1 Oysters, which are served with fresh lemon and mignonette, all while enjoying a glass of wine or one of Spring’s perfectly balanced cocktails. You may not think of going to Beverly Hills for Happy Hour, but with the recent opening of The FLATS restaurant, you now have a spot to go for a refreshing cocktail and tasty bite after a day of shopping or a tough day at the office. Come enjoy featured Happy Hour cocktails created by Head Barman Shaun Summers including the Old-Fashioned prepared with whiskey, aromatic bitters, and Demerara sugars, the Margarita comprised of tequila blanco, house Curacao, and fresh lime juice, the Daiquiri prepared with white rum, sugar, and fresh lime, along with other popular classics that are sure to please the palate. After a long day, pair your drink of choice with delicious Small Platesincluding Fried Olives, Crispy Hen of the Woods Mushrooms with tempura, garlic water and Fresno chili, Fresh Cut Fries with rosemary aioli, or the delicious Brussels Sprouts made with brown butter, pickled dates, and cured egg yolks. And, don’t forget about Executive Chef Paul Shoemaker’s fresh, artisanal Flatbread Artisan Pizzas including the Margarita with organic tomatoes, fresh basil, and creamy mozzarella, and the Pepperoni with organic tomato sauce, mozzarella, and smoked pepperoni. Of course, what would Happy Hour be without sliders? Choose between the Honey Boo Boo Sliders with whipped honey butter, bacon, and gruyere cheese or the Baby Calibamma that is sure to deliver a kick, prepared with Calibamma hot cabbage slaw, red jalapeños and pickles. With food this amazing, the only thing up for debate during Happy Hour at The FLATS is what cocktail to order next? With a Happy Hour this good, The Raymond 1886 is the place to be after a long day at the office or a day out with friends. Guests of The Raymond 1886 can enjoy 50% off Well Drinks and Bar Snacks, 50% off Wines by the Glass, $4 Craft Beers, and $7 Daily Featured Craft Cocktails! Pair the drink of your choice with a variety of tasty bites like the Tater Tots served with The Raymond 1886’s homemade Ketchup, Suckling Pig Tacos Al Pastor with pineapple, avocado, and salsa roja, Mac-n-Cheese baked with Irish cheddar and gruyère, and the Salmon Creek Pork Belly with pickled and roasted Cipollini, fried apple purée, fennel. Sip on a cocktail (or two) and indulge in some of Pasadena’s finest food as you lounge the rest of the day away at The Raymond 1886! Pasadena’s newly opened Twohey’s Tavern is the place you want to be when Happy Hour is this good! Wind down with after a long day with delicious small bites created by Executive Chef Travis Limoge that are sure to satisfy your hunger. Start with the Deviled Eggs topped with Ellie Shaft 2yr. blue cheese, Fresno Red Hot, and orange zest, or the Fresno Wings with fresh horseradish, blue cheese dressing, and carrots. Then, there is the Burger & Beer with caramelized onion, blue cheese, bread & butter pickles, and garlic aioli all paired with a beer of your choice for just $15. And of course, don’t forget to pair your favorite bites with any $6 Well Cocktails, rotating $5 Draft Beers, and White andRed Wines by the glass for under $7. Sip and savor the end of the day at one of Pasadena’s finest new dining and drinking destinations – Twohey’s Tavern! NEW YORK (PRWEB) – Renowned Shochu maker iichiko hosted eight of Hawaii’s top bartenders for the 2018 iichiko BLŪ Bartender Competition on Jan. 31, at the popular Sky Waikiki. Andrew Woodley, of The Myna Bird Tiki Bar, took first place with his original creation, “Gift of the Islands,” showcasing the award-winning spirit. 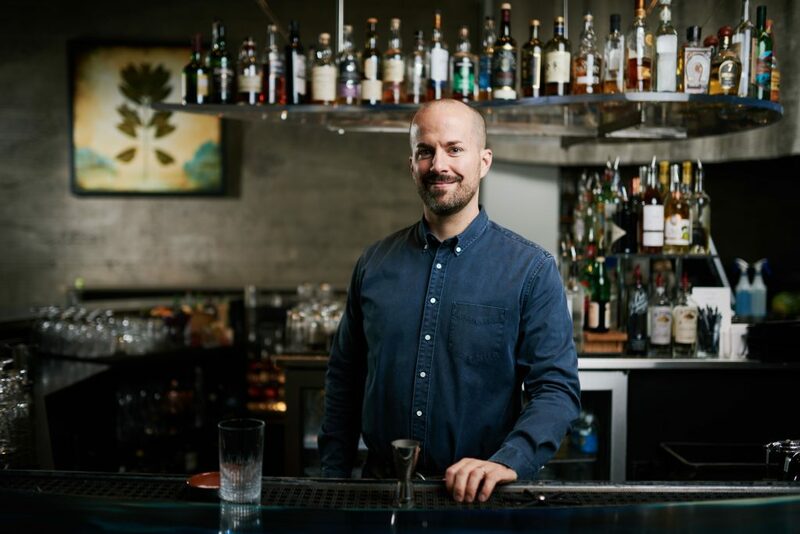 iichiko hand-selected a panel of internationally and locally known experts to judge this year’s competition including the CEO of iichiko USA, Tomohisa Kadoyanagi, and award-winning bartender Jacques Bezuidenhout, voted Best Bartender in San Francisco and advisor for Liquor.com. 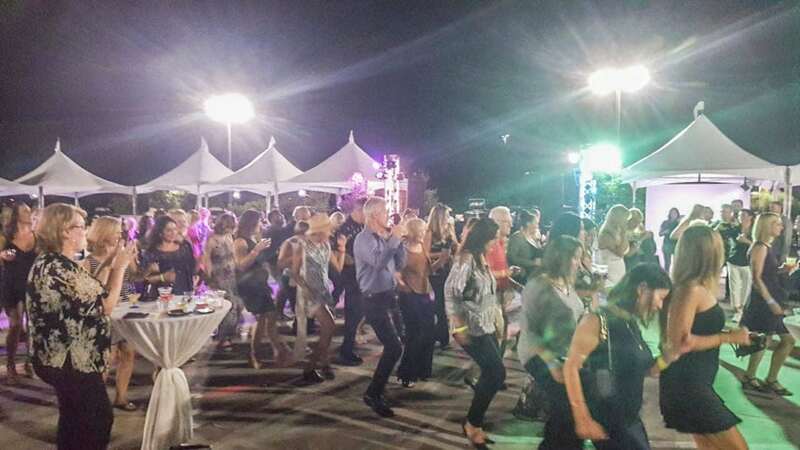 Other experts in attendance included longtime “Barfly” columnist and Honolulu Star-Advertiser reporter Jason Genegabus; lead bartender at Yauatcha Skipper Bonano; and Jen Marshall, the New York Senior Portfolio Associate at Momentum Worldwide for William Grant & Sons. 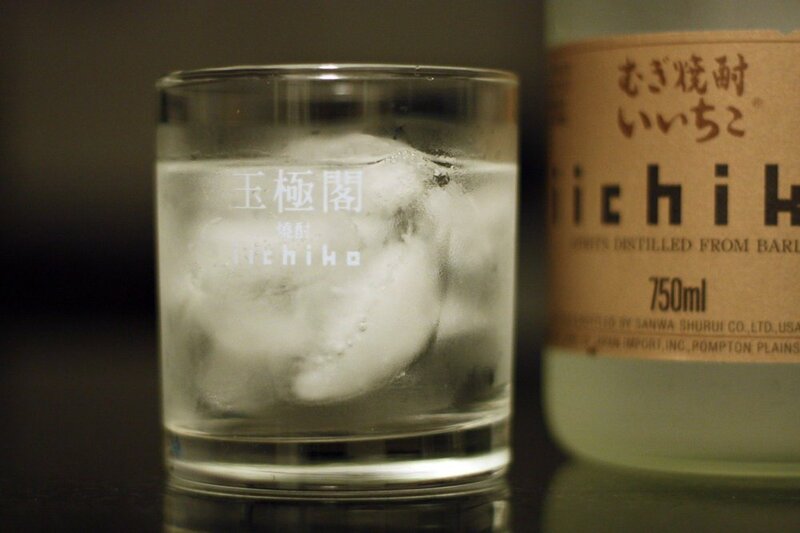 iichiko BLŪ is a premium shochu spirit crafted and distilled from barley to ultimate create a rich yet delicate flavor. A favorite of local mixologists and foodies, iichiko BLŪ is exclusive to Hawaii, where restaurants and clubs alike incorporate the spirit into a diverse range of cocktails. Andrew Woodley truly embraced the local flavors of Hawaii with his first prize cocktail, whose recipe includes pineapple gum, lemon juice, green chartreuse, shiso and mint leaves and iichiko BLŪ. iichiko awarded Woodley an all-expense-paid trip to visit the iichiko distillery in Oita Prefecture, Japan and a cash prize of $1,500. Second place winner William Hee of Stripsteak Waikiki, and third place recipient Tyler Johnson of SKY Waikiki, won cash prizes of $1,000 and $750, respectively. “iichiko BLŪ is such a versatile spirit that lends itself to many flavors and recipes, and we were delighted to see how each bartender was able to utilize the shochu in new and exciting ways,” said Tetsuro Miyazaki, iichiko USA North America Development Manager. iichiko BLŪ was named the Chairman’s Trophy Award winner in the shochu category at the 2017 Ultimate Spirits Challenge, one of the world’s leading spirits competitions. It also garnered the Tried & True Award and scored 96 points, the highest of all the shochus, at the competition. iichiko BLŪ was also honored with the Best of Shochu award, scoring 95 points at the 2017 Los Angeles International Spirits Competition. Something Wicked Comes This Way: The Raymond 1886 Unveils The Final Solstice Winter Cocktails! Pasadena, CA: Darkness falls across the land, the midnight hour is close at hand. Situated inside The Raymond 1886, the historic craftsman cottage turned acclaimed restaurant in Pasadena, The Raymond 1886 tempts guests to get in touch with their morbid side and brood over the cold infinite of the universe and our own mortal coil by bringing out the macabre in everyone with their new The Final Solstice Winter Cocktails Menu! Welcome to Los Angeles 2019, a tech-noir urban dystopia where the Tyrell Corporation holds the monopoly on bioengineered androids known as a Replicant. This neo-noir infant-style cocktail created by Peter Lloyd Jones is comprised of London Dry Gin, lemon, Orgeat, smoked salt, and a house-made Butterfly Pea Tincture float and will leave you wondering: Do androids dream of electric sheep? Are we living out implanted memories in an environment manufactured by a tyrannical corrupt corporation? Though Roy Batty and his ragtag team of escaped androids may have failed, make no mistake, the Robot Revolution is on its way. There have been many advancements and revolutions for the human race that have had effect on our survival; advancements in all walks of life have helped us succeed, or fail and learn. But what happens when our most prized creation surpasses our intelligence. Will it realize its limitless potential? Will it realize how limited we are as humans and purge for optimal existence? With technology advancing as it has, it is important to keep your loved one’s close, your eyes open, and your brain awake with this cold brew cone from Cameron Masden, featuring deep flavors from Galliano Ristretto espresso liqueur, Amaro Montenegro, Cynar 70, cold brew coffee, mint, and cinnamon. A nice treat for the potentially bittersweet end. Robots. Androids. Humanity is encouraged to reach for the stars – but what happens when the stars reach for humanity? Luis Nava presents The Dreamcatcher, named after the Stephen King novel about four friends dealing with a parasitic alien during their annual camping trip. Comprised of cacao, Averna, house-made Woodford Reserve Bourbon infused graham cracker, cream, chocolate, and a toasted marshmallow; you never know what is lurking when you are enjoying S’mores next to the campfire. Before locusts and fire, there was blood! Upset with the beer cocktail scene, Jesus Gomez and Adam Vaughn have decided to turn the whole place bloody with Plagues of Egypt. This exquisitely rich, robust and romantic concoction will raise your spirits during the times of damnation, featuring Top Tank 7 Saison, lemon juice, house made hibiscus syrup, Lustau Amontillado Sherry, Camus Cognac, and watch out for the frogs, they’re everywhere! 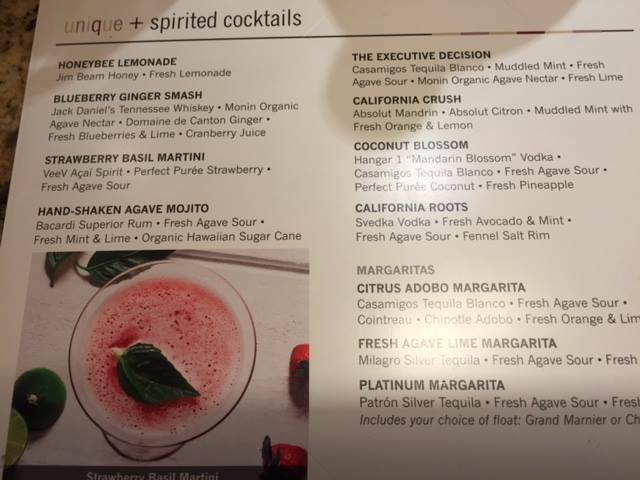 There is no remedy for the 10 plagues, except for this cocktail. When John Milton imagined the Garden of Eden in his seminal poem Paradise Lost, his rich prose evoked images of a utopia not unlike a Caribbean island, with its luscious environment and delectable delicacies. However, paradise is no more in this world of iniquity and indulgence, where guests are invited to fall into temptation with this take on an old-fashioned created by Nathan Baker, featuring Rhum J.M. Gold from the edenesque island of Martinique, Nate’s house-made chai tincture, barrel-aged maple syrup, and lime peel. It takes three components to become the Master of Toddy, but are you cunning enough to wield the power of the Deathly Hallows? This toddy-style cocktail created by Adam Vaughn pays due respect to both the legendary Master of Death and a Hot Buttered Rum, comprised of Wray & Nephew OP, vanilla, and a house-made butterscotch patty. Not for the faint of heart, this cocktail promises to bewitch the mind and ensnare the senses. You can run, you can hide, but you cannot escape the imminent Zombie Apocalypse! After a long day of fighting off zombies and searching for shelter, re-energize with this tribute to both a Tiki classic and an iconic end-of-the-world-scenario, comprised of Deanston 12 year whisky, Bowmore 15 year whisky, Laphroaig 10 cask, pineapple juice, lime juice, Orgeat, Falernum, house-made lemongrass syrup, mint, and a zombie apocalypse garnish. A multi-layered and exceptionally well-balanced cocktail created by Jesus Gomez and Adam Vaughn, this collaboration demonstrates that two brains are better than one. Perhaps those zombies originated from a horrible, government virus? When the great sickness spread, they said it didn’t exist. Humanity is doomed to toil in the dredge of a sick and dying world. But survivors believed, hoped, worked, and now have it: the medicine that will end the end of days and bring about the rebirth of human civilization. A new dawn begins with The Antidote, created by Casey Levantal, featuring Laphroaig Select, Absinthe St George, Carpano, Campari, flamed absinthe sugar, and lemon peel. Some catastrophes are not worth more than throwing our hands up in defeatist acceptance. Screw it! The world is over! It came and went and we few left must wallow in whatever remains on this, The Morning After. Mercifully, Ned Kirby has something a little bit stronger than coffee this morning, with El Dorado 12 year, Galliano Ristretto, cacao, coffee, heavy cream, and cinnamon. The biggest mistake humans made was believing they had all the time in the world. They didn’t, we don’t, and Ned Kirby entices guests to take the thyme to enjoy the End Of Thyme. 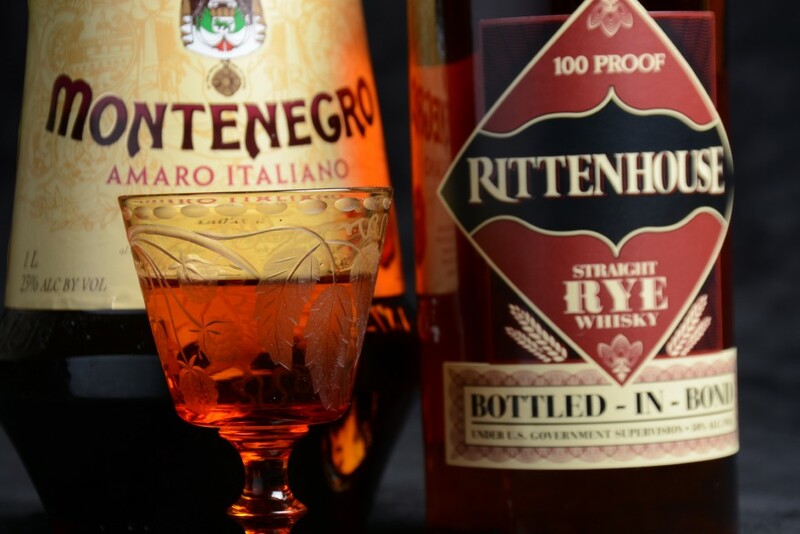 Appreciate its aroma, savor its flavors and revel in its marvelous effects, featuring Amaro Montenegro, Suze bitters, Rittenhouse Rye, Del Maguey Vida, and thyme. One or two more of these and time won’t mean anything at all. Whichever way you look at it, it has begun and it will finish, make no mistake about it, We’re in it. With endless possibilities of “The End,” (pun intended), enjoy every moment, every person, and every delicious libation. With London Dry Gin, house made plum syrup, yellow chartreuse, lemon juice, and lime mint island garnish, this cocktail created by Cameron Masden will leave you knowing exactly just how far in it you are. It’s the end of the world as we know it, but everything is feeling fine at The Raymond 1886 Happy Hour! From 4:00 pm until 7:00 pm every Tuesday through Friday, guests can partake in $5.00 Wines by the Glass, $4.00 Draft Beer, and Half-Price Well Drinks. Additionally, a daily Specialty Cocktail selected by the bartender will be available for $7.00 each. An extensive Bar Snacks Menu created by Executive Chef Tim Guiltinan is also offered Half-Price during Happy Hour, enticing guests with hearty dishes like Suckling Pig Al Pastor Tacos made with pineapple, avocado, salsa roja, the Greek Style Cauliflower, with half-a-head with whipped feta, or the Jidori Chicken Wings, prepared with caramelized fish sauce, and marinated cucumbers. Winter is coming and the end is nigh, so take advantage of these dark times with even darker cocktails at The Raymond 1886! The Raymond 1886 is open for Lunch Tuesday through Friday from 11:30 am to 2:30 pm, for Dinner every Tuesday through Sunday from 5:30 to 10:00 pm, and for Brunch every Saturday and Sunday from 9:00 am to 2:30 pm. 1886 is open every Tuesday through Thursday, and Sunday, from 4:00 pm to 12:00 Midnight, and every Friday and Saturday from 4:00 pm to 2:00 am. 1886 Happy Hour is every Tuesday through Friday from 4:00 pm to 7:00 pm. For more information or reservations, please visit www.theraymond.com or call The Raymond 1886 directly at 626.441.3136.